As an American bank holding company, Capital One specialises in credit cards among other financial services they offer. They have hundreds of branches and some 2000 ATMs, conducting business in Canada as well as the United Kingdom. 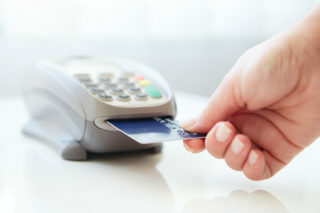 One of the benefits of their credit card is no charge for foreign currency transactions. Customers are their greatest asset and they make it easy for them to apply online for their card. SSL encryption protects your information making transactions safe. When you apply for a Credit Card, you need to provide certain personal information. They require your full name, date of birth, physical address as well as your gross annual income. Fill in the required information correctly in order not to delay the process due to missing information. If you apply for a Card online or by phone you’ll hear from them within 60 seconds. There may be a delay if they have to collect additional information. Capital One Cards have Different credit Levels – What’s Yours? Capital One has a credit card for everyone. Different credit levels are available including a Secured Card for people trying to rebuild their credit history. The credit limit they apply to your card relates to your salary and credit history. Should you be disappointed with your limit there are ways to improve it. If you use your credit card responsibly, always pay on time and pay more than the minimum, you are sure to improve your chances of qualifying for a higher limit. You can always check the status of your application or by calling 1-800-903-9177. In any case, they will still notify you in writing of their decision. On approval, you’ll receive your card and welcome letter within 7-10 business days. Use your credit card online, pay your bills, redeem your rewards, check balances and even link multiple Capital One credit cards. The company guarantees Fraud Liability for a stolen card. You can choose personal and business credit cards from Capital One. On the Capital One Credit card website, you can find the full list of benefits for the Platinum credit card as well as other credit cards. Set up a personalised email or SMS reminder to help keep track of your accounts. A mobile app will keep you alerted of account balances plus many more benefits. The Capital One credit card is worth considering, you will definitely find a card that suits your income, spending needs and lifestyle.